Star Painting LLC delivers stunning and detailed painting services for commercial remodels, tenant improvement projects, retail spaces, retirement communities, and more. For more than ten years, our award-winning work in and near Dallas, Oregon has been raising the bar on commercial painting standards. Our team’s level of organization, planning, and above-average customer care makes us stand out in the industry. And we only plan on building on that reputation. When you choose Star Painting for your interior or exterior commercial painting project, you’re getting a partner in a variety of general contracting services. From one-on-one consultations and color matching services to professional project management and meticulous follow-through, our team consistently exceeds client expectations. 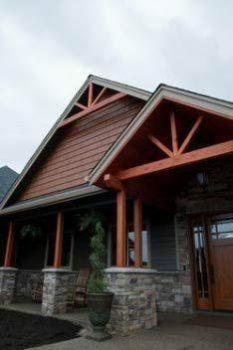 Talk to us about specialty accent colors, painting for remodels and additions, or new builds. We listen to what your business needs are, and we’ll be there to help you achieve them. The paints we use come from Sherwin-Wiliams and Oregon’s own Rodda Paint. These paint companies have developed high-performing paints available in a versatile range of formulas, finishes, and colors. Star Painting consultants are well-versed in which type is best for which environment and surface. Count on us to help you choose the best ones for your facility, showroom, storefront, or housing development. Star Painting knows what it takes to set your business up for success. Through pre-planning, site inspection, and meeting strict timelines, we are able to help you make informed decisions beforehand. Clear goals, careful planning, deep product knowledge, and consistent communication regarding pricing and timelines keep us all on the same page as the project progresses. And if you have any questions during the process, we’re always available to help. Painting services do not need to be rendered as part of a larger construction project. We offer painting on its own or as part of a renovation project for retirement communities, apartment buildings, and light commercial settings. The final coat is applied after surfaces are cleaned, sanded, and primed as needed. We work with owners and designers to determine specifcations for the type of paint to be used. All paint products, supplies, and application techniques meet OSHA standards. We prep surfaces by identifying and removing mildew, dirt, and any visible damage. We also take care of protecting floors, equipment, and any personal belongings from overspray. Our painters do not paint around removable fixtures unless instructed otherwise. Part of our quality standards dictate that fixtures be removed and painted under. Star Painting is certified to remove and dispose of lead-based paint safely. Our painters offer safe, lead-based paint removal for older buildings in the Dallas, Oregon area. Improve more than the look of your commercial facility – improve the quality. 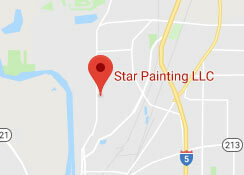 Choose Star Painting for all your commercial painting projects in Dallas, Oregon.